I noticed that my children weren’t always so comfortable answering adults’ questions or thinking on their feet. Here’s a simple way to change that. It isn’t because my kids are rude. It’s not because they’re “shy” in the basic sense of the word. And it’s not because they aren’t well spoken in general. It’s because they aren’t comfortable answering questions. One day during a particularly rowdy moment when all three kids (the baby, bless him, was sleeping) were going nutso and I was nearing meltdown, an idea came to me! It would keep them quiet, engaged, and would help them learn to listen and take turns. Win win! I asked the kids to sit in their own chairs because we were going to have an interview! I call it an interview, but nobody gets dressed up or does their hair. It’s informal, spur of the moment, free, and super fun! Even the kids loved it. I’ve done it quite a few times since that first moment of inspiration, and each time they are engaged as the questions I ask. Here’s how I do it and why I think it’s helpful. I sat the kids down, asked a question, and let the kids take turns answering. That simple! I asked whatever came to mind. I’d like to print off a bigger list of new questions next time, but I think the main idea of this could be done for years. As your children get older you can ask more difficult questions. I truly believe part of being well-spoken and eloquent is being comfortable talking to others. 1. It helps you learn more about your kids. Interestingly, I also can see some family dynamics. If one child answers first, another tends to repeat that answer if they aren’t sure. So I’ve learned better how to communicate with my kids when they’re in a group. This is invaluable to me. 2. It gets them comfortable answering questions about themselves. As an adult, I don’t find it hard to talk about myself. I am a question asker by nature, so I love hearing about others, but that fact also means I think others find it easy to talk. Well, guess what? They don’t! My husband has a hard time answering questions he’s never thought of before, so in case my kids are the same, I’ve preempted it. At first they’ll have to think for a while with some questions, and may even feel nervous. After you go around a few times with different questions they get into the swing of it! I will say some personalities think as they are talking while others must think about something before answering. Allow them a bit to answer and don’t let their siblings interrupt. This will show them you value their answers. 3. They get to practice listening and taking turns. This was one of the biggest struggles for one of my kids. Waiting and letting the other person speak. But even she loved hearing what her brother said. They laughed and joked and repeated each other’s answers together. My daughter might say, “I love pink and you love yellow!” and they’d giggle. 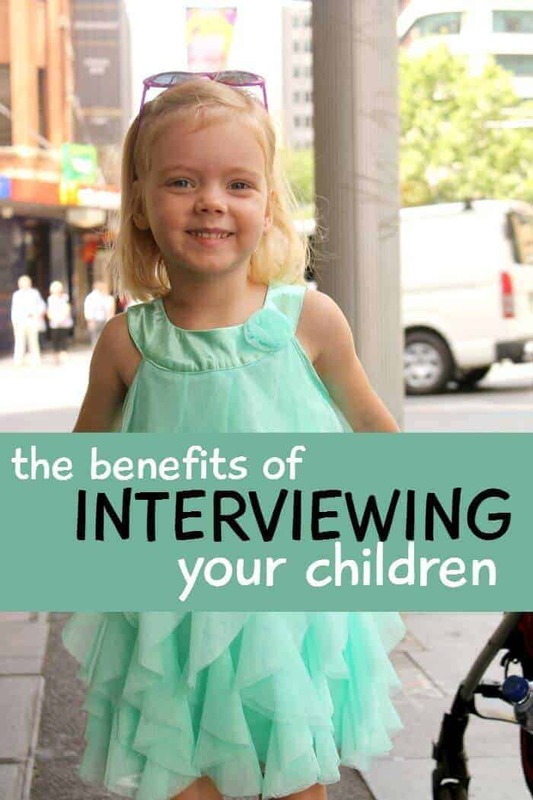 By interviewing your kids at the same time they learn the art of listening to others. Actually, after a few minutes, they started asking each other questions! 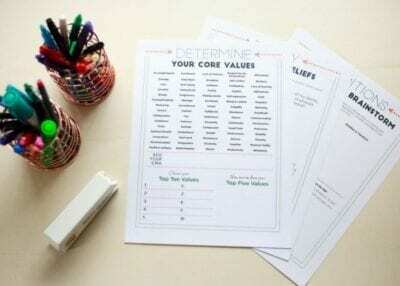 The next time your kids are acting out of order and you want them to sit down and focus on something, try this. Explain that you are going to be “interviewing” them. I actually use this term because I think it helps take away some of the nervousness attached to the word. Interviews are hugely nerve wracking, but I’m hoping by doing this from time to time as they grow up it’ll help normalize putting them on the spot. 4. Helps them practice personal information. My children are just preschoolers so they don’t yet know all their personal info. I ask questions about our phone numbers, address, their full name, and our full names. I try to hit some of the big ones that they’ll need to know if they get lost. This is a good way to give that information context as well. What is mommy’s full name? What is daddy’s full name? Who do you like to visit? If you could get on an airplane, where would you go? What sport do you like to play most? The list could go on and on. But I just wanted to show you that it’s such an easy thing, and a great way to pass some time! I ask my 3 yr old son a lot of questions but not in a more formalized interview style like you did. I’d like to try it but it seems like every formal activity I set up (even stuff he should love like racing toy cars) he refuses to try. I think he doesn’t want to do it because I’m telling him to do it (or suggesting). Do you have any suggestions? PS I find this confusing because he complies commands fairly well (come sit down to eat) and has several daily chores he is required to complete. This is a great idea!! My three year old never answers questions or even a hello from an adult & she really is not shy. She just does not know what to say. I have to prompt her every time. I will definately try this with her! Thanks!! yes, I totally relate, Penny :). Hence the interview was born. Ha. I’ve created an iPhone app called Kidterview that is the perfect tool for making a super cute interview video of your kids. 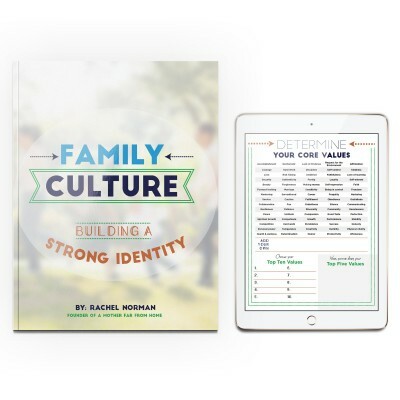 Not only does interviewing your kids help their verbal/conversation skills, but it can also provide you with a precious memory/gift to give to someone else. Kidterview makes it simple to create a great video for sharing with friends and family. Check it out…I bet you’ll love it! I bet your readers would also like hearing about Kidterview. That sounds awesome! Is it on android or just iphone?